Gameloft today announced a new standalone application/service for Android that will help keep gamers in touch with the company’s growing line of titles. Called Gameloft LIVE!, it features a 3D interface with customizable avatars, chat, rewards, and access to Gameloft’s catalog of games. We’re pretty sure that there will be more than a few of you out there interested in the news as Gameloft touts more than seven million players in the online community. 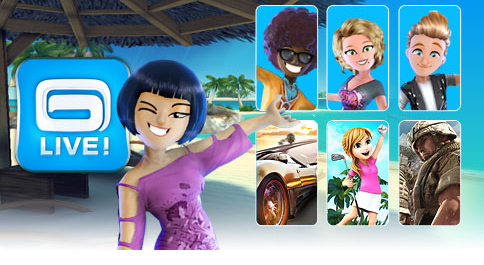 An all-new 3D interface that enables players to create and customize their own unique avatar and develop it in an interactive, full-3D environment that’s full of surprises. New social components that will allow you to make friends and stay in contact with them, invite them to play, send them messages, and chat with them in real-time for an even livelier experience than before. More trophies and rewards to unlock through our games that will give you access to new items for your avatar and environment. Try your best and get the highest score! Direct access to Gameloft’s product catalog offering exceptional offers and exclusive info, ensuring that you’ll always be the first to know about our upcoming releases. If you want to download the Gameloft LIVE! app you’ll have to head to the Gameloft Android Store. Keep an eye out for the Android Market version, it’s expected in the near future!